Every Friday, Pacific Union will take a look at what’s new and notable in the Bay Area neighborhoods that constitute our neck of the woods. Here’s what we’ve got for the week ending March 16, 2012. Celebrating their 50th anniversary, the folks at San Rafael’s Le Chalet Basque will be turning back the clock on Monday. In honor of the occasion, patrons will be offered the establishment’s original menu and prices dating back to 1962. Cheers! 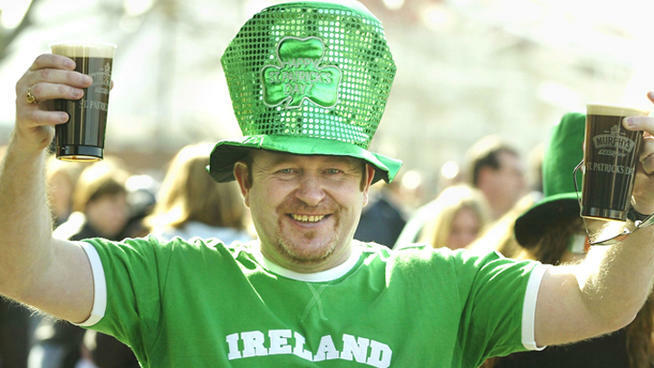 The 161st San Francisco St.Patrick’s Day Parade and Festival revelry is slated to officially start, weather conditions aside, by 10 o’clock tomorrow morning at Civic Center Plaza. Scheduled to begin at 11:30am, the parade features marching bands, Irish dance troupes, and more. The new Food Craft Institute, a nonprofit affiliate of Oakland’s Eat Real Festival, opens this April in Jack London Square. Courses will be offered in pickling, jams, and coffee roasting amongst others, but also the business end of their crafts. The Napa Firefighters Museum is set to close in the near future. The Napa Community Redevelopment Agency had been renting to the museum, but now the agency has been dissolved and the city will have to sell the historic building. This will cause the museum’s artifacts to be dispersed, and not necessarily in locations available to the public. Sonoma Valley growers are witnessing activity in their vines, and in their winery contracts too. Their grapes are being sought after with greater demand and higher pricing, and with longer contracts to boot. Some varieties are proving more popular than others, and there is still frost to worry about, but things appear to be looking up in the grape market.